Made from 100% wool, this flatweave rug will add texture to your floor while being super-soft underfoot. The Eisa rug has an authentic back story. It was woven by expert manufacturers in India - in keeping with its eastern-inspired design. 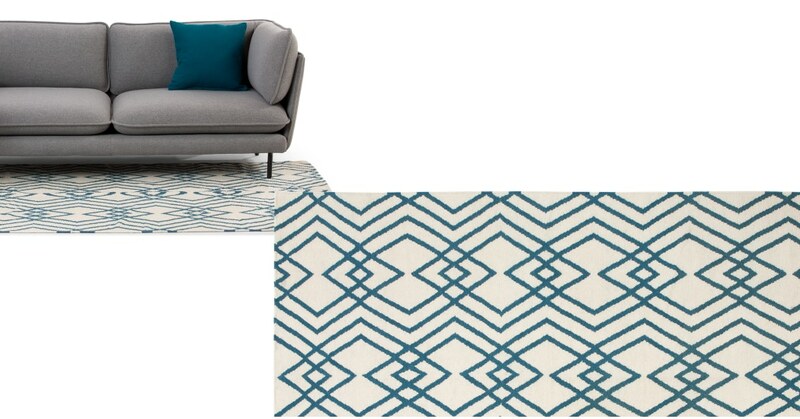 The bright geometric print will easily stand out making Lina a focal point on your floor. Darker white makes it perfect even for high traffic areas.